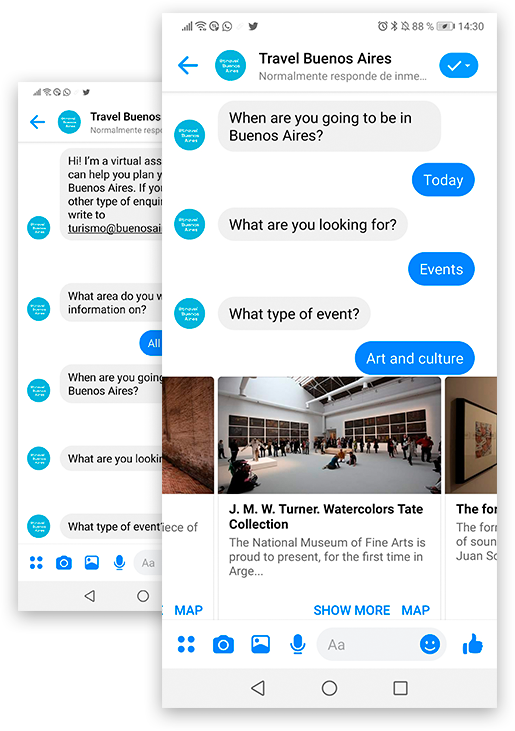 Travel chatbot developed by Smartvel. How does it work? How does Smartvel’s travel chatbot work? It provides access to all the relevant information about your destinations thanks to an integration with Facebook Messenger. Acting as a virtual assistant, it shows valuable destination content to your users. Our system processes more than 2 million events each year, which go through more than 10 verification, enrichment and categorization procedures. All this content, coming from more than 400 online sources, is classified and organized thanks to Smartvel’s unique technology. 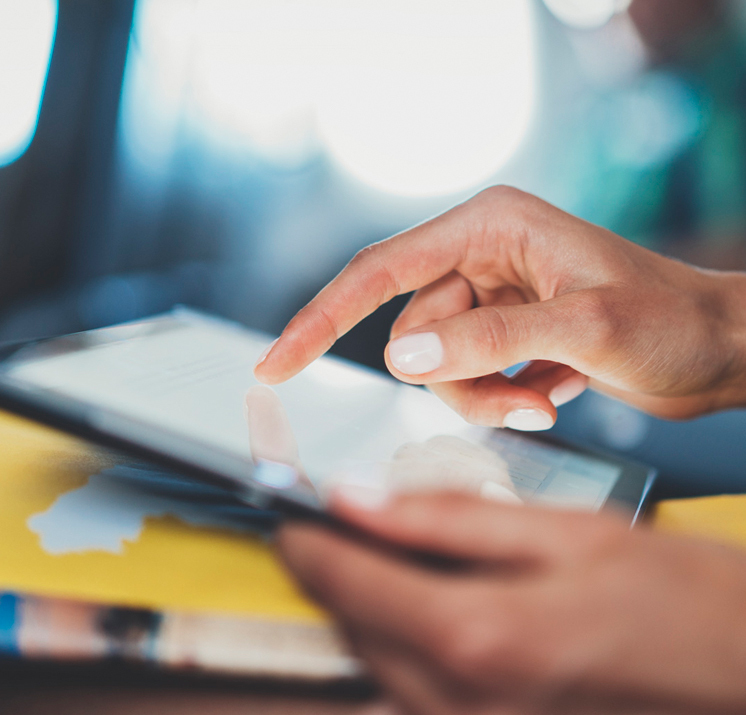 Artificial intelligence and chatbots are a present reality and they are already positioning themselves as the key trend that will set the foundations of the future of the tourism industry. In 2017. Expedia´s CEO Mark Okerstron already advised that the future of the sector will be intimately linked with robot development and innovation. Due to this, at Smartvel we keep investing on new technologies such as chatbots. We provide an innovative travel chatbot, applying the same technology and information used with our Trip Planner, shown directly on Facebook Messenger. It offers quick and up to date information about what to do at the destination, based on the traveler’s needs. Ability to interact with your clients 24/7, enrich the experience with useful and relevant content. 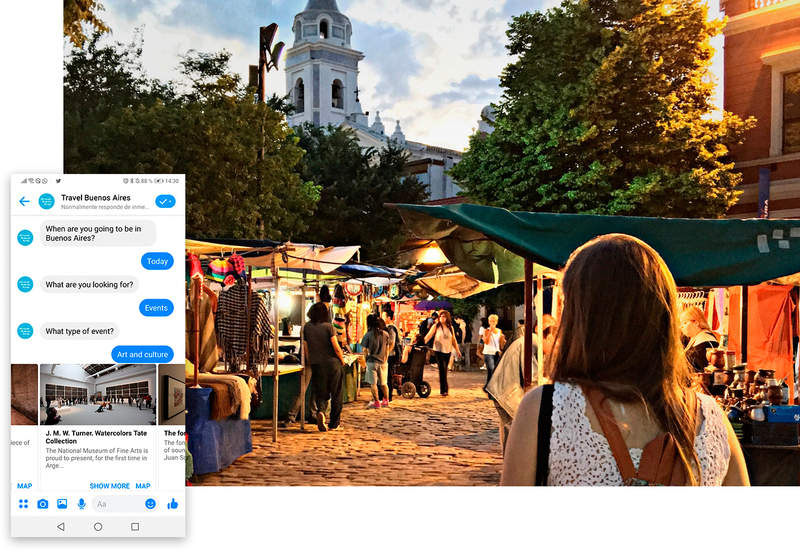 The City of Buenos Aires was one of the first public entities within the tourism industry to launch a chatbot which includes all activities available at the Argentinian capital, thanks to Smartvel technology. Citizens and visitors can now interact via Chatbot, through the official page Facebook Travel Buenos Aires, available 24/7, and discover new plans based on their preferences and desired dates.